Last summer, my title changed from “Pastor of Worship and Arts” to “Pastor of Spiritual Formation.” Since that time, some people at Central have asked me some very good questions about the meaning of my new title, and I want to share what I hope are some good answers. 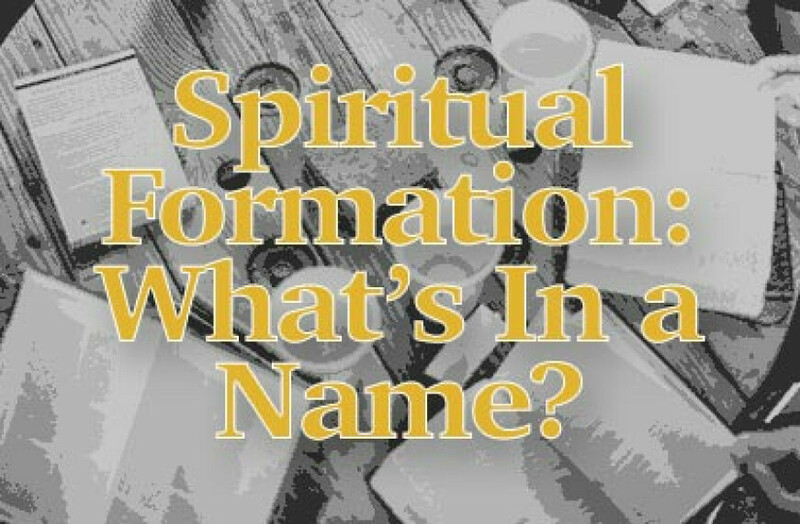 The first question is this: “What does spiritual formation mean?” This is a shorthand phrase to describe the comprehensive work of God to make us the people that he created us to become. As our Creator, God formed the first human being (Gen. 2:7), and he formed each of us with the same exquisite care (Ps. 139:13–16). As our Savior, God is undoing all that is de-formed in us by sin and its cursed effects; he is re-forming us by con-forming or trans-forming us into the image of the Son (Rom. 8:29; 2 Cor. 3:18) by the power of his Spirit, not only in our souls but ultimately in our bodies as well (Phil. 3:21). “Spiritual formation” is the ultimate purpose for everything that we do as a church. The goal of our church is not simply to enjoy stirring worship services or to engage one another in classes or small groups or to serve people in need in our city and around the world. God calls us to those practices of worship, community life, and outreach because they are the means by which we know and love God and through which God transforms us into a people who bear the image of the Son of God and manifest his likeness in our character and actions with increasing maturity and glory. God’s work in spiritual formation is a lifelong process of growth. Jesus is not only our sacrifice and priest but also our model, teacher, and guide, and he calls us to be disciples who follow him by submitting to his wise methods of training so that we can be like him (Luke 6:40). As Pastor of Spiritual Formation, my calling is to help our church to see the full vision of God’s transformative plan for us and to pursue that vision by all the means and methods that God provides for our training in the way, the truth, and the life of God. A second question often follows the first: “Isn’t this what the church has often called discipleship?” Yes, it is. Spiritual formation is simply another term for the process of becoming a full disciple of Jesus. 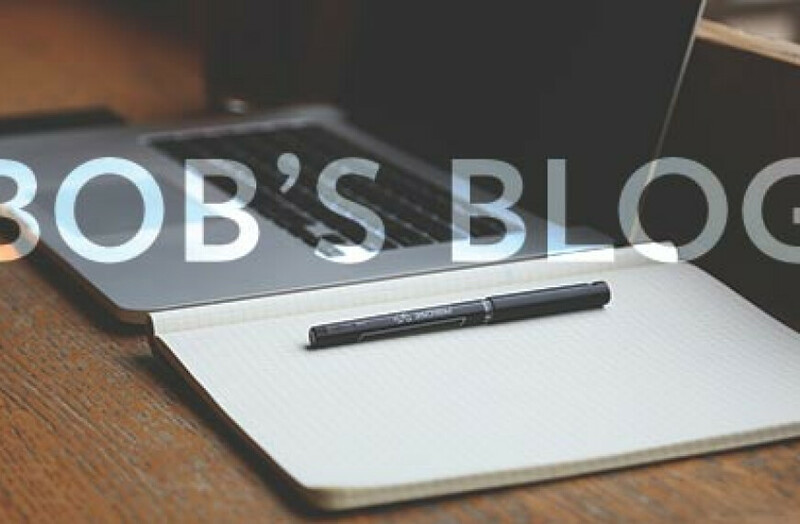 It describes the life and goal to which Jesus calls his followers and students (disciples). And that answer leads naturally to a third: “Why would I choose the phrase “spiritual formation” for my title rather than ‘Pastor of Discipleship’”? One reason is that the term “discipleship” has become strongly associated inside the church not simply with the overall process of spiritual formation but also with a particular means of pursuing it. For many people, the term “discipleship” brings to mind classrooms, curriculum, and structured mentoring relationships in which older, knowledgeable Christians teach the basics of the Christian faith to people who are younger or less experienced. While those are forms that accomplish some aspects of discipleship, the process of becoming a mature disciple of Jesus—the process of spiritual formation—involves far more than that. Indeed, the most focused forms of spiritual formation do not occur in classes but rather in coffee shops and around dinner tables, in phone calls and emails, in service projects and daily work, and in spiritual conversations saturated in the word of God and prayer shared by close Christian friends. The revelation of Jesus’ life and ministry in the Gospels shows us clearly that his means of grace and his methods of training and forming us go far beyond anything we can experience in a classroom, a sermon, a lecture, or a workbook. A second reason why I prefer the phrase “spiritual formation” is that it has the potential to connect with people outside the church. The word “discipleship” is a very churchy word; one almost never hears the words “disciple” and “discipleship” used outside Christian circles. While those terms are fine for communication between Christians, the terms “spiritual” and “spirituality” are widely used in American culture to talk about religious beliefs, longings, and practices. Therefore, referring to the ministry of the church as “spiritual formation” establishes a common ground for communication by using language that many people already use to label their most ultimate concerns and commitments. One of the fastest growing categories of religious life in America is the set of people who call themselves “spiritual, but not religious.” Thus, naming the ministry of Jesus as “spiritual formation” presents Christ as the fulfillment of our deepest questions and longings in language that is already culturally familiar. For some additional resources for understanding spiritual formation, see Dallas Willard, “Spiritual Formation as a Natural Part of Salvation,” and his books The Divine Conspiracy: Rediscovering Our Hidden Life in God and Renovation of the Heart: Putting on the Character of Christ. We recently remembered the national tragedy of 9/11. Do you remember where you where when you heard the news? I was leading an off campus staff retreat for a church that I pastored in Pittsburgh. We cut the retreat short and returned to the church campus to be available to those who were in such deep distress. We quickly made a large banner and hung it near the road by our entrance driveway: "We Are Open For Prayer – All Are Welcome". It was amazing to see people stop to pray – many of them strangers. We made slides of many Scriptures and just rolled them on our big screen continually. We had soft music of classic hymns playing in the background. People were wrestling with the gravity of the situation. People wept. People prayed. It was a rare moment in our national and ecclesiastical history. What does it take to motivate people to pray with such fervor? Tragedy is one such motive, but so is opportunity. At Central, the Lord has been pleased to protect us from tragedy and equally pleased to place before us opportunity. This is why we launched the "3 for 30" prayer initiative. The gospel of our Lord calls us to repent of the idolatry of self-reliance and to seek Him at all times, in all circumstances, and for all things. At this point Central's history, we are praying for our Senior Pastor Search Team, we are praying that the Lord make us a contagiously warm and friendly place on Sunday morning, and we are praying for the peace of St. Louis. We have asked that each gathering of Central folks – any study, event, or meeting – simply pray for those three things. Of course we cannot know how many people have engaged in this prayer initiative, but I imagine it is easily in the hundreds. Many people assumed, when those planes struck the twin towers and the Pentagon, that WW III had begun. Of course there was much debate about the cause and consequences of the attack. “Are we really at war, and against whom are we fighting?” There is no debate for the Christian church. We are at war against the devil and all his designs and devices to assault the glory of God and the health and growth of His church. Would you "join the war effort" in remembering to "pray without ceasing"? Would you "support the war effort" with your financial giving to Central? Would you "participate in the war effort" by looking for new faces on Sunday morning and showing them the love of Christ and by looking for ways to serve our city? God is answering our prayers. God has spared us from tragedy. God has placed before us great opportunity. May we seize the moment – and pray. 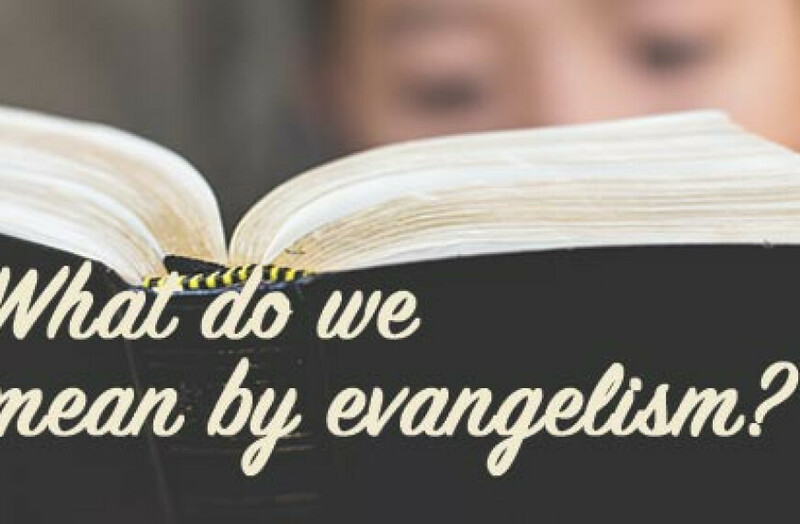 What Do We Mean by Evangelism? I am not sure how this happened, but I love words. I wasn’t a reader growing up, but something instilled in me the power of the right word. When we are trying to communicate, the choice of a word can make all the difference. In most languages we have a wonderful palate to choose from for whatever concept we want to convey. Let me give you an example. Take the word “loud.” We hear that word and know that we are most likely referring to a level of volume. But, according to the website thesaurus.com, the word “loud” has 45 synonyms in the English language. Each of these words bring with them different emphasis, sometimes slight, and sometimes quite significant. Think of the difference when a teacher says, “My students were really loud today,” verses when he says, “my students were really boisterous.” While both words convey high volume, the second version also makes us think and feel energy and activity. Another example is when the judge comments, “that lawyer was very loud in her closing argument,” verses, “that lawyer was very emphatic in her closing argument.” Again, while both words contain some level of elevated volume, the first example doesn’t portray purpose, where as the second shows the lawyer trying to drive home a point of view or conviction. Like any writer today, the biblical authors had similar choices to make when they chose words to convey their message. As in English, Greek words often have many synonyms. Sometimes those words have subtle differences, while others carry a significant meaning that would have conveyed a clear message. We have been talking a lot lately as a church about the word “evangelism” which is derived from the Greek word “euangelion.” We know that this has to do with telling people about Jesus, but have you ever stopped to wonder why the biblical authors chose this word? They had at least 30 words in the Greek language that had the general meaning of informing people or announcing information. So why did the biblical authors choose euangelion to describe the good news of Jesus? Euangelion was a common word in Greek society. It meant that someone was sharing “good news”, but this good news wasn’t general good news, it was pretty specific. As the author William Mounce notes, “It referred to an announcement of ‘glad tidings’ regarding a birthday, rise to power, or decree of the emperor that was to herald the fulfillment of hopes for peace and well being in all the world.” This was a word that carried serious social, political, and religious weight. This was meant for news that impacted all of humanity. Now think of the Gospel of Mark when he writes at the beginning of the letter, “The beginning of the gospel (euangelion) of Jesus Christ, the son of God.” He isn’t just saying, “What I am about to tell you is pretty cool.” No, he is saying, “Pay attention because what I am about to tell you changes everything and impacts everyone. What I am about to tell you will bring ‘the fulfillment of hopes for peace and well being in all the world’”. We are called to evangelize, to share this good news of Jesus Christ. Some of us are already comfortable with this and some of us are just starting to dip our toe in the water. Regardless of where you are at, I hope you take comfort in the power of the message. It is a message that has the power to change lives, to change societies, and ultimately will bring the fulfillment of peace to this world.